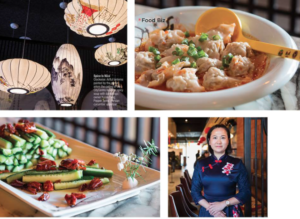 An immigrant’s Pepper Twins restaurant empire, informed by her medical-research background and Sichuan culture, is growing fast! Did you know that the local chain’s “Mr. and Mrs. Smith”—the cold sliced-beef-tendon dish also called fuqi feipian—was named best appetizer of 2017 by GQ? Like its four sister restaurants, the newest location of Yunan Yan’s mini-empire showcases the complexity of lip-tingling, mouth-numbing Sichuan peppercorns. It’s BYOB—bring a chilled white to beat the heat. Good news for fans of Pepper Twins, the authentic Sichuan-style restaurant that currently has five locations in Houston: another is on the way. A sixth outpost will open at City Center by the end of the 2018, and foodies all across America are rejoicing. 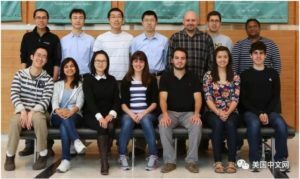 After a career in cancer medical research, Yunan Yang opened Pepper Twins which serves organic and fresh, Sichuan Chinese food that retains the fantastic flavors from her homeland. Good news is here for all of you who frequent food establishments in the Bayou City. Chron.com has the list of restaurants from the Houston Health Department that scored a perfect zero during unannounced inspections in December. 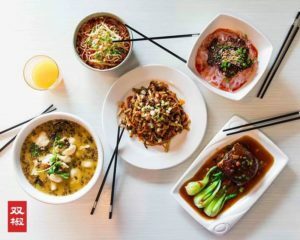 Take Pepper Twins, the low-key Houston restaurants that specialize in country style organic Chinese food. Pepper Twins isn’t trying to impress anyone with fancy press releases. It’s all about good food and service (your water glass will never go empty). And there it is being lauded for having one of the dishes of the year by GQ Magazine. That began to change as I gingerly—and then increasingly less gingerly—began to eat an appetizer called Mr. & Mrs. Smith, a more palatably named take on the classic Sichuan fuqi feipian, “lung of the husband and wife”: cold slices of beef tendon and tongue, tossed with sesame paste, Sichuan peppercorns, scallions, and chiles. I had not realized how much I was sleepwalking until flavor hit me in the face. The dish is a numbing, burning, textural masterpiece, and the kind of thing a budding empire is built on. Indeed, Chongqing native Yunan Yang (who is also involved, with her sister, in the restaurant Cooking Girl) already has two Pepper Twins locations and two more in her sights. Time Out Says: FIVE STARS! With more than 40 area restaurants participating this year, guests will sample from tastings of local hotspots including Boheme, Beaver’s, Field & Tides, Krisp Bird & Batter, Peli Peli Kitchen and Pepper Twins alongside wine, beer and cocktail sampling. Serving up authentic, piquant, peppery Chinese cuisine, Montrose’s recently opened Pepper Twins offers a menu filled with Sichuan dishes serious enough for Chinatown. First things you’ll notice when sampling a dish at this spunky little BYOB joint? The meats melt in your mouth, the fare is full of zesty spices that add an extra dimension of delicious to each bite, and the ingredients are high-quality and naturally flavorful. The reason to visit Pepper Twins is to have a Chongqing-native waiter guide you through a menu of his childhood comforts, although comfort may be relative. The restaurant’s name comes from a combination of Szechuan peppercorns (they call it nine-leaf pepper on the menu) and explosively hot, tiny chiles that flavor eponymous dishes featuring chicken, frog’s legs and “fish slides.” Ultra-tender Pepper Twins Beef practically vaporizes upon first bite, as if the fusion of numbing spice and heat were searing right through it. One of the best Chinese restaurants in Montrose has a new name, but the food hasn’t changed. 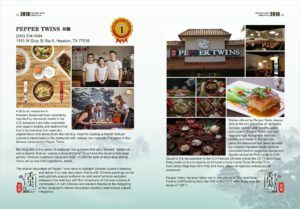 Cooking Girl, the Sichuan-style restaurant next to Boheme that emerged as one of 2015’s most pleasant surprise restaurant openings, is now known as Pepper Twins, the restaurant announced yesterday on Facebook. The restaurant has also reopened after being closed since mid-January to repair a sewer issue. I always make it a point to try at least one item that is recommended by the server, prefacing the request with a genuine trust bestowed upon him/her to guide me as a fellow diner and not as an opportunity to sell the most expensive item on the menu. This practice seems to work better at places like Pepper Twins than at more high-end restaurants. Upon the suggestion of the server, we ordered the Pepper Twins chicken, the first item on the specialty list. 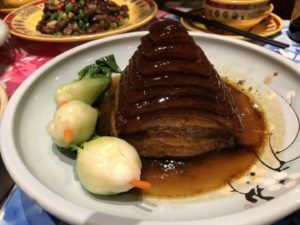 For Houston’s hotheads, spicy Sichuan cuisine all comes down to two restaurants: Mala Sichuan Bistro and this sizzling upstart. Yunan Yang and her sister Lily Luo derive their equally thoughtful and heartfelt brand of cooking from their mother—who “came from a very big family” in Chongqing, where she learned “a lot of secret recipes from the family cook”—as well as from Yang’s own background in cancer research, which reveals itself in her emphasis on wholesome ingredients, from organic meats and veggies to digestive aids like the dried plum powder she sprinkles on fried sweet potatoes and, of course, imported numbing peppercorns. The effects run from pure exhilaration, as with the fried beef cubes and hot-sauce boiled fish brimming with chilies, to soothing relief in the form of meltingly tender, sweet-salty “soft bacon” or scrambled, fried tomatoes and eggs, accompanied by a fresh green-bean smoothie. 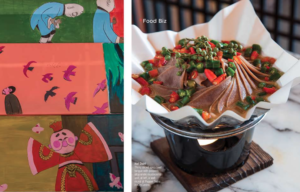 The artfully assessed trend is very much at play in Houston, it seems, as two wickedly talented chef-entrepreneurs have opened hip, authentic restaurants foodies are going gaga over. The still-new Montrose smash Cooking Girl (315 Fairview St., 832.649.7175) and the even newer Heights-area Ginger and Fork (4705 Inker St., 713.861.8883) are both fun and accessible, but each has its own very unique identity and take on the cuisine. 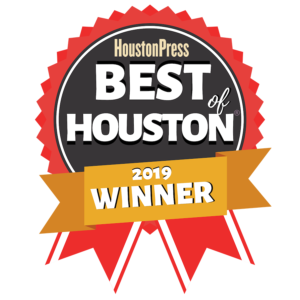 Of course, all this follows the triumphant expansion of Mala Sichuan Bistro from Bellaire’s Asian district to Montrose, which the Journal actually called out as part of the new wave of Chinese restaurants in America. Wait for it. Is it kicking in? Hold on—yes, no, yes! Here it is! First comes the bright, pungent flavor. Then the fizzy-numb sensation. Then something even more remarkable happens: Flavors start to gently glow. Salt seems subtly saltier, sweet becomes sweeter, chiles more vibrant. It’s like the way things look sharper when you put on yellow snow goggles. My friends Paige and Bob and I are having lunch at two-month-old Pepper Twins, in Houston, and, no, we haven’t been smoking anything. We’re under the sway of Zanthoxylum simulans, and even though we’ve partaken of the wily Sichuan peppercorn before, each time is an adventure all over again. Yunan Yang, Owner of The Cooking Girls restaurant in Houston, TX is a former medical researcher and an inspired cook. She credits her mother-in-law not only with teaching her how to cook but also about the importance of food.